Grab your gun and get on down to the show, there’s gonna be all kinds of fun during this wild west shootout. The sheriff in town doesn’t seem to be very good at his job, so it’s up to you to figure out who is behind all these hinky hijinks. With spurned lovers, cocksure gunslingers, and all manner of suspicious folk filling up this saloon, you are sure to have a rip roaring time no matter what happens, or who happens to get plugged. 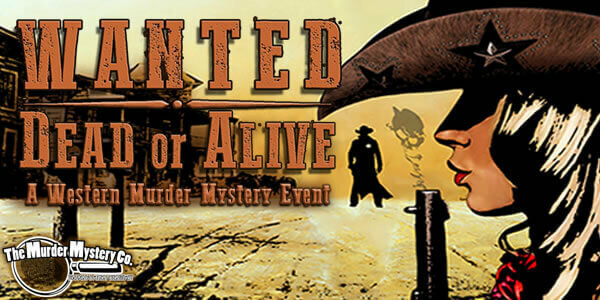 Wear your best western gear, cowboy hats, and saloon outfits, and get ready for a rowdy night of shootin’, clue wranglin’, and case crackin'.